He’s everything I've fantasised about but never allowed myself to have. When I give in to temptation and begin to freak out, it’s not because he’s a guy. It’s because he thinks I’m my brother, and I can’t bring myself to tell him the truth. It's also got a definite twist to it, but before we talk about the actual story I just want to be clear there may be twins in this story but what there isn't is twincest. Anders and Law are twins so of course they're close but are they maybe too close if Law is the one breaking up with Ander's boyfriends...they've got their reasons for why this happens and while Law would prefer not to do this but there are reasons and until the day that Anders calls Law to come to a restaurant ASAP and break his blind date it hasn't caused any real problems...but, Reeds not like the other dates and while he's not Anders' type it turns out he's very much Law's type. This one captured my attention from the very start it was good and I enjoyed the concept and the more I read the more I liked what I was reading. 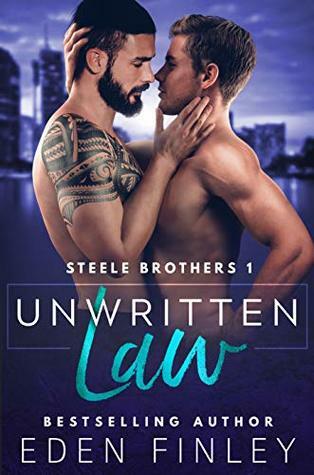 "Unwritten Law' is twin story with a bit of a different twist and the story really didn't go as I had expected it would which was definitely a pleasant surprise. While Reed and Law are definitely the MCs in this story Anders plays a very strong supporting role and I came to really like all three of these men but 'Unwritten Law' courtesy of Anders really does belong to Reed and Law and it's their story that we are being given in this first book of Eden Finley's 'Steele Brothers' series. Reed's new in town and he's been set up on a blind date with his neighbors accountant or so he thinks because what he actually gets is a fellow teacher who happens to be the accountant's twin. While the two hit it off on an intellectual level it's the immediate physical attraction that leads Law astray resulting in what's suppose to be a one time hook-up.For Law it's a chance to explore his long repressed interest in men and for Reed it's a chance to end his dry spell following a bad break-up but ultimately he views it as a chance to make a friend since being new in town he's sorely lacking in the friend department. I found the interactions between Reed and Law good there were serious moments, humorous touches all laced with those moments of awkwardness that comes with the beginnings of a new relationship but there were also secrets...secrets that when kept become bigger and seem to be all consuming...creating a chasm that ultimately Law is sure can never be bridged. One of the best things about this story for me was the ending...it wasn't so much an HEA as it was an HFN solidly working it's way towards an HEA. Which all things considered for this story is a far more believable ending than a simple HEA would have been. Now all I need to make me really over the moon happy is a story giving Anders some happy because that boy needs some happy and maybe Reed's friend Brody will play a part in it or maybe his happy is waiting somewhere else for him? I know I'm looking forward to finding out especially if their stories as excellent as this one was. 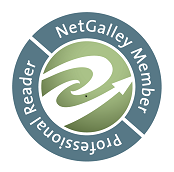 An ARC of 'Unwritten Law' was graciously provided by the author in exchange for an honest review.